“A gardening scheme is being launched in Widnes with the aim of nurturing green-fingered skills and community spirit. Widnes Growing Together has been set up by Kingsway councillor Andrea Wall to foster neighbourhood pride, improve the environment, give residents the chance to enter ‘In Bloom’ competitions and to enable to them to make friends while learning how to create lush greenery and flower arrangements. Other goals include reducing social isolation, providing learning opportunities for young people, encouraging participants from different ages and backgrounds to work together and to take part in physical activity. Cllr Wall said research had proven that gardening benefits health and wellbeing. Her two fellow trustees are the Reverend Greg Sharples and Cllr Phil Harris. Cllr Wall said: “Widnes Growing Together will be a charitable organisation firmly rooted in the community. 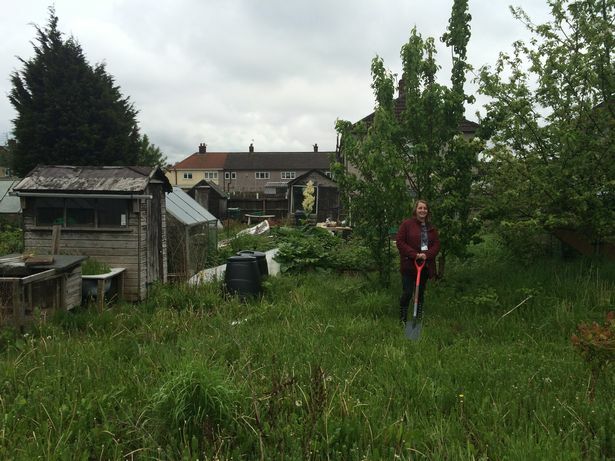 “Along with my fellow trustees I am really excited about this project as amongst the proven benefits of community gardening are better health, knowledge, improving our own environment, meeting people and community spirit. “Doctors in some areas are beginning to prescribe gardening as a means of reducing social isolation, improving physical health and improving mental health. “Gardening and growing are also a life skill that children are starting to be taught again. “I’d like to see our communities getting involved in the various ‘In Bloom’ competitions that are run every year, growing their own produce and flowers. “I believe anybody can benefit from community based gardening.